It's been only five years since my horse found me. I know that I needed him just as much as (I would like to think) he needed me. Communication has been a struggle. Pete is a pushy kind'a guy, and I always say that if he was a man, he'd be the typical Archie Bunker stereotype - sitting in his recliner-easy chair, remote in one hand, and beer in the other. But wait the beer is almost done. And from the living room, hockey game playing loudly on the TV, I would hear (as I bake in the kitchen): "Babe, I'm almost done my beer! Can you bring me a freshone?" He is a warm hearted, sensitive, and sometimes pushy guy. We (as I always like to include him) have been searching for that magic bullet. A process where we can find a space to meld together. A space where we can meet and connect and communicate. Marina Wright. While I have attended several workshops, none have opened the door for both Pete and I to find our space to be together. This isn't to say that we don't have to work at our relationship, because it is work; however, it's work where you see results. You feel the difference when you spend time together, and as you move through the program, the ties only strengthen. I like that it's not a linear program, and like an onion, at each phase you uncover more and more about you, about your horse, about your relationship, and about each other. Pete looks at me differently. I feel a new-found respect between us both. I have become the leader he has needed, and Pete - he is so fabulous!!!! 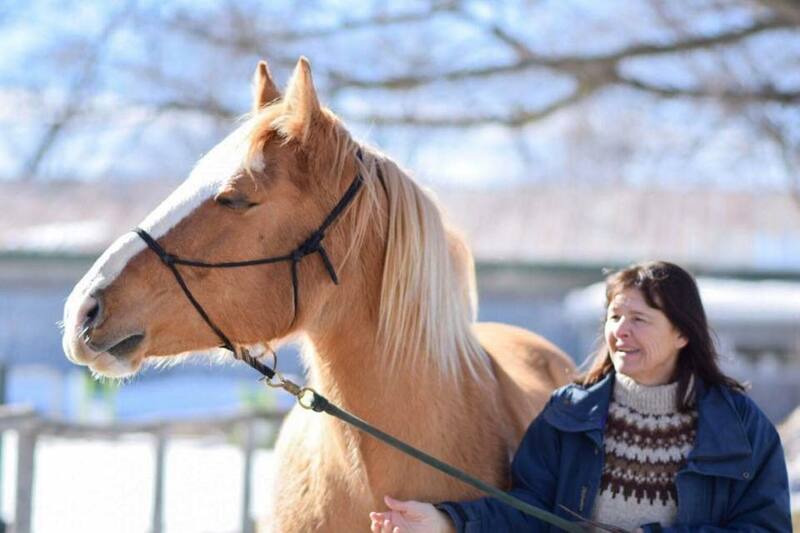 I would encourage anyone who is looking to really form a relationship with their horse to connect with Marina. For all of us at NRE, we now take lessons with Marina every month, so that we can continue to build on the foundation started with her. Marina has so much to offer both the human and the horse. I had an amazing day today, learned ALOT from a talented young woman who introduced me to some new bonding techniques that she has developed from her own experiences and learning. Thank you Marina Wright of Wright Approach Pair Bonding. You and your stunning buckskin Andalusian stallion Pyrite have taught an old dog some new tricks. I will definitely come to another of your clinics. I wanted to share with you an experience I had with Jake today which I think is because of your approach / work. I have been working with him on the ground using your techniques since your lesson. I haven't ridden and have never felt more connected to him. While the progress is slow, I often feel like we are talking to each other in the same language. It's beautiful. I was dealing with some frustrating family matters and got into a dispute right before I went to see Jake. I was feeling quite stressed and anxious. My plan was to work with him on the ground in the arena, then take him outside to lunge him for some exercise. Right away I noticed his energy was different. He was very "up". I took him out and brushed him and then proceeded to walk him to the indoor arena where he managed to (very politely) escape my grasp and slowly walk right back to his stall. He did this twice in a row after I retrieved him from his stall and walked him back. Now it's important to know that he has never done that to me before, ever. Even when I just got him when he was only 6 years old and very high strung. I thought it was strange and brushed it off and brought him back into the arena for the third time. This time I managed to get him into the arena and closed the gate. Once I let him go he was acting very strange. Running wildly around, near the gate of course, but acting as if he was going to try to jump out! I got concerned and decided to try lunging him to burn off some energy. I put his halter back on and brought him to the outdoor ring and proceeded to start lunging. Again, he portrayed extremely weird behaviour for him. He is always very well behaved on the lunge line ( this story gets more positive I promise ...). He was trotting and coming too close into me and somehow the lunge line got under his leg. Again, this has never happened before. I let go of the lunge line, praying he wasn't going to hurt himself. He was very smart about it, he simply trotted back to the gate towards the barn and stopped after one lap. I was stumped. Everything had been going so well with him and he had been so relaxed! Then I clicked in a bit and thought to myself, " you are stressed, focus on your breath". So I did . I began lunging him again but this time only focused on my breathing. Immediately he was calm. I continued to exercise him for awhile and decided to bring him into the arena again for attempt number four. We walked in together fine, no problems. I shut the gate and began walking about on my own focusing only on my breath. Jake immediately bonded with me and we walked together side by side for a long time. Probably 20 min or so. I stopped, he stopped. I turned and so did he. But I wasn't even thinking about the success, I was just doing my walking meditation. After awhile I had this burst of emotion come over me. I had these massive realizations. Jake was teaching me. He was showing me the whole time that my anxiety was high and I needed to check in with myself. He was showing me to let go. He was showing me that I hold on to negative situations for far too long and I should be in the moment now. The problem has already passed. He was running away from me for a purpose. When I had this realization I couldn't help but just start sobbing. They were tears of pure gratitude for this animal and also of sadness from the pain my family can cause me. Both feelings were so strong at the same time. I stood still and cried for awhile, Jake stood by me the whole time with his muzzle on my shoulder. After I felt a bit better I just walked away. Something told me to look back at Jake. When I did I burst out laughing immediately. He had comically picked up the lunge whip and was tossing it with his head in the air. He has never done this either! I truly believe we was trying to make me laugh and let go. He wanted me to be happy. It worked. He proceeded to throw the whip and walked back towards me. Sorry for the long email. But I wanted to share it with someone who would appreciate it, I hope you do. It was because of your work that I got to experience this moment. It was pure magic! At least the closest thing to magic I will ever experience. Maybe some of it was coincidence, but I truly believe he was talking directly to me. It is so simple, yet so powerful and effective. Changing the way your approach is towards your horse at liberty, giving them choices changes the way they look at you. They will want to be with you rather than feel forced to be with you. My experience with Marina Wright (inspired, studied and tutored by world renowned horse trainer, Carolyn Resnick) has been moving and life changing to say the least! Finding "like minded" people is sometimes challenging, but with Marina because of our mutual love for the horse "at liberty", we came together. I am grateful beyond words to know her, because she has helped me further my bond with my horse. She knows how to invite PLAY and JOY with a horse in a safe way, a way that strengthens the heart connection between horse and human. Because of her, I play more like I did when I was a child with my horse, and he LOVES it!! 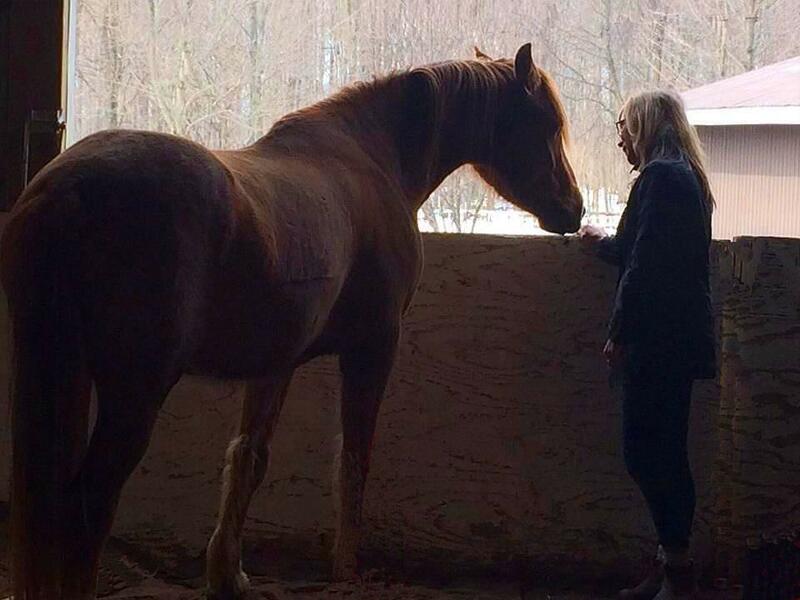 She teaches me so much about what my body language is saying to my horse. She teaches me how my horse interprets my gestures towards him. She is teaching me how to be his leader, a powerful majestic lead mare I am becoming, not just to my horse, but in my life!! Thank you Marina!! You are a natural teacher!! You are connecting horse and human one by one, inviting us to play at liberty, inviting us to JOY!! 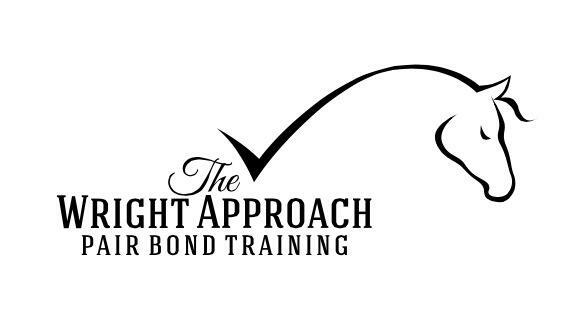 I recently had the opportunity to attend the Pair Bond Clinic with Marina Wright and I thoroughly enjoyed the experience. The sessions were well thought out and informative with multiple opportunities for input from participants. I was impressed with Marina's ability to describe a segment and its rationale, follow it up with modelling and then provide us with an opportunity for guided practice before doing it alone. Marina provided feedback for each attempt and she was always positive when identifying potential next steps. 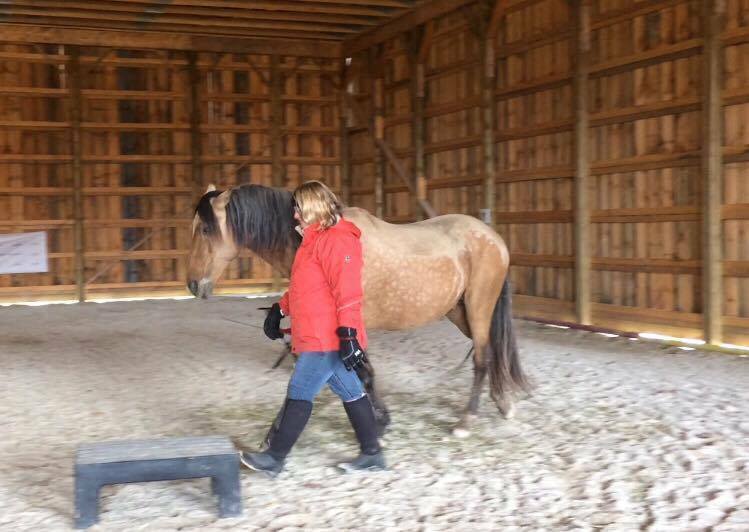 She was careful to explain that nothing is "lock step" when dealing with horses, but emphasized how much more adept we will be at responding to the actions of our horses, and them to us, with a range of tools to choose from. I learned how to ground myself, how important timing is and I believe my ability to read cues from the horses (who were fantastic) has been greatly improved. My confidence level definitely went up when I realized the results I was getting from horses I had no previous experience with. I am grateful for the opportunity and hopeful that I will be able to participate in Level III in the not too distant future. Marina has done a great job of working out a new way of being with horses, which is no small thing. This is the evolution of horsemanship to a whole new format of horse / human relationship. It completely transcends any form of enacting predator / prey and comes from a place of peaceful, heart connection, where true relationship begins. The following is an essay written by a student for school. There is a very stereotypical view on what heroes are supposed to look like - tall, strong, with superpowers and good hair. My hero, Marina Wright, may not have all of these qualities, but she has qualities a hero needs, such as determination, kindness, patience, and respect. First off, Marina has dedicated her life to creating bonds with horses using a tactic called Liberty, which proves that she has determination. To support, Liberty is a training technique which does not use tack, (objects used to control horses when riding) and is based solely on trust between horse and rider. Marina has been riding since she was 6 years old, and owns 6 horses- Xanthus (Xan), Trigger, Jethro, Fancy, Rio, and Comet - which she has trained herself. She was determined to make her horses the best and calmest, and her hard work has definitely paid off. In fact, Marina is the only horse trainer/ coach who was suggested by Carolyn Resnick, an extremely elite coach who focuses on liberty from California. She also has a double silver level from Chris Irwin, and is a F.E.E.L. facilitator from 2011. Marina has not stopped yearning to improve with riding and working with horses. She is determined to be the best rider there is. Secondly, Marina cares for all animals, and always shows kindness and respect to them. Marina is completely against animal cruelty, and does not use anything that could cause her animals discomfort. She does not use bits (metal rods that go into horses mouths to help steer them and that are attached to the bridle) because she feels that they are inhumane. 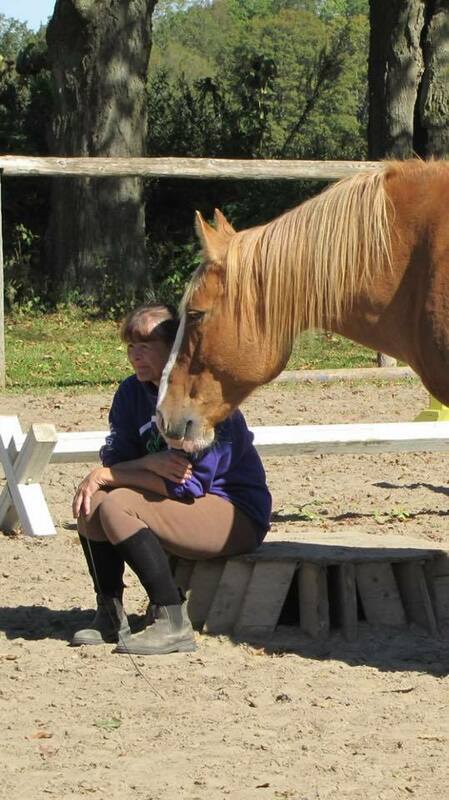 Marina only uses Liberty to work with her horses as she feels that it is the kindest way to work with them. Marina would never think of doing anything cruel to an animal, and will always respect them. Marina hates it when animals have inhumane treatment shown to them, and respects and cares for all animals. Finally, Marina shows patience when dealing with students and horses. For instance, when she is dealing with beginners, Marina is always willing to help and never yells at the kids. Marina never loses her cool and is always willing to give pointers. Furthermore, she will always give second chances, and just makes sure that the pupil knows what they are doing before letting them try again. Marina will always take her time with students and horses and is always ready to help. She makes space in her schedule to teach lessons, and gives up her own spare time. Marina always is patient with both human and horse pupils. In conclusion, Marina is a person that I look up to because she is kind, patient, respectful and determined. She is always willing to give a helping hand and will only give animals the kindest treatment possible. Although, Marina Wright may not have super powers or her own comic book, but that doesn’t make her any less of a hero to me. Thank you Marina, Mark and all the equine instructors! It was a great workshop (Beyond Natural Horsemanship) and a great group who enriched the work with their experiences and perspectives... thank you. I dream of the day when horses are a part of my daily life and I can really live the voyage of the Waterhole Rituals. May our paths cross again through our shared concern and passion for the well being and connection with these amazing beings.